Once you have made the decision to bring in a professional Caregiver, it’s important to adhere to some basic guidelines that will make the caring for your loved one as trouble-free and rewarding as possible. Chances are that before you have engaged a Caregiver all the stress and anxiety has fallen on your shoulders. If you have been trying to juggle your career, your household duties and parenting responsibilities it is highly likely that you are exhausted. In this state you open yourself to illness and to potential moments of deep anger and frustration. Without completely abdicating the task of looking after your loved one, it is now time to step back, take a deep breath and reclaim as much of your own life as possible. You reconnect with your friends. You take some personal time to see a movie perhaps, get some exercise, continue with you hobbies or simply enjoy a bit of solitude. You reassess your financial position and make adequate plans for the care of your loved one. The family member whom you are taking care of might at first feel that you are abandoning them and that you have begun to see them as a burden. Nothing could, of course be further from the truth. 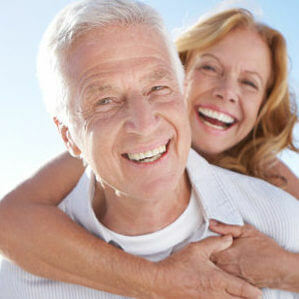 By bringing in a professional Caregiver, you have ensured that he/she is getting the best possible care. Nevertheless, make it clear that you are not going anywhere. Pop in frequently and make sure that your loved one is gaining trust and confidence in the Caregiver. A reputable Caregiving service provider ought to keep meticulous records. Become acquainted with them and ensure that senior members of the service make regular visits to monitor performance. Keeping in touch will ensure that your loved one is getting the best possible care and that you have complete peace of mind. The professional Caregiver should be treated with respect and dignity. As you know caregiving is not always easy on mind or body, so support the Caregiver as much as possible. In a sense, they become a part of your family and play a vital role in the welfare of the entire family. In all likelihood nobody knows as much about the condition or personality traits of your loved one, so spend time to transfer this knowledge to the Caregiving service provider and the Caregiver. In summary the appointment of a professional Caregiver will relieve a lot your stress and provide expert care. For optimum outcomes, however, you should still stay in control.